The Russian space agency has released dramatic onboard footage of last month’s failed Soyuz rocket launch, as investigators announced that a faulty sensor was responsible for the incident. A Russian cosmonaut and US astronaut were forced to abort their mission on October 11 and perform an emergency landing after the Soyuz rocket taking them to the International Space Station (ISS) failed. American Nick Hague, 43, and Russian Aleksey Ovchinin, 47, were recovered in good health from an escape capsule. The video released by space agency Roscosmos from the vessel’s onboard camera on Thursday shows a steady ascent into space being interrupted by a failed booster separation that sends the vessel into a spin. "The reason for the abnormal separation... was due to a deformation of the stem of the contact separation sensor", chief investigator Igor Skorobogatov told reporters. Referencing findings of an official inquiry into the accident, Skorobogatov said two more Soyuz rockets might have the same defect. He said additional checks were being introduced into the rocket assembly process. The accident was the first serious launch problem experienced by a manned Soyuz space mission since 1983, when a crew narrowly escaped before a launchpad explosion. 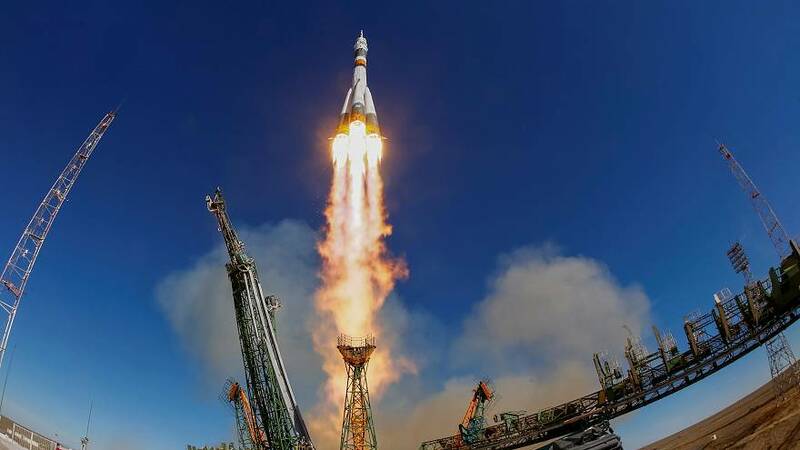 Roscosmos has said it hopes to launch its first manned mission since the accident on December 3.